Birds eye view of Walter J. McCarthy Jr. While I was up flying today an a photography assignment, I was able to snap a few shots of the 1000 ft Walter J. McCarthy Jr as she pulled away from the Midwest Energy Dock with a load of coal and sailed out under the Duluth Lift Bridge. A beautiful day in the Northland with 60 degree temps and calm winds made for a great day to fly and also wonderful day to throw a line in the water as I noticed hundreds of steelhead fishermen along the shore of Lake Superior. With nearly two feet of freshly fallen snow on the north shore of Lake Superior, the invitation to take a ride up the shore was something I couldn't pass up. While the storm had passed, the waves were still kicking up a bit and the snow covered hillsides were particularly beautiful even though it is late April. This morning sunrise over Lake Superior was spectacular and one of the many reasons Duluth is such a special place. It looked like a shipping convention more then a nice April morning, but, until the Alder gets out, or, a captain is willing to test the ice.---things are at a standstill for now. Boats waiting to get out of harbor and boats waiting to get in. The CGC Alder will be out this morning to break a path through the pack ice. Like a clogged drain, once there is a path, boat traffic will quickly return to normal. Pack Ice 10 feet thick! The tug North Carolina reports pack ice blown in from the storm is 10+ feet thick at the end of the Duluth Canal Piers. Even though it is only 1/4 mile to open water this will delay shipping until a path can be cut or the winds drop further, taking pressure off the ice pack. Pictures taken this morning at Canal Park. I think the enthusiasm of the wave watchers has diminished a bit. My feet are cold! What happened to the tourists? So much for global warming! Whose big idea was it to come north a week early! Where is the nearest hotel! I told you so! Tom MacKay of Park Point has indicated some frustration with the weather. Update 5AM Friday -- Internet/power outage still persists at the primary camera center. 7PM Thursday -- An Internet outage has forced the cameras offline for now! Although 50 MPH winds off Lake Superior puts a halt to shipping traffic, the high waves and icy spray seems to attract Duluthians and visitors alike to the shoreline to watch the big lake flex it's muscles. I stopped by this morning before the snow started to catch a glimpse of this awesome wonder. 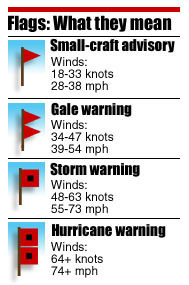 WILL DIMINISH TO 20 TO 30 KNOTS TONIGHT. * WAVES/SEAS...3 TO 5 FEET WILL BUILD TO 10 TO 12 FT.
note: some camera views were blocked by weather. Update--Power restored at 12:30 Saturday -- camera restored to service! The Lafarge Cam, 4th camera from the left, is off line due to a power outage at the site. The issue is being worked on, however, a strong Springtime storm will be rolling in and the work may be delayed.